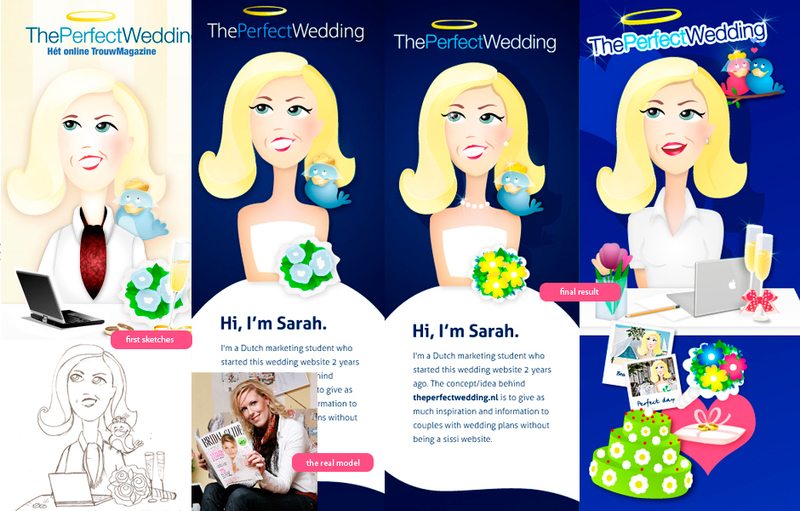 theperfectwedding.nl is a trendy online wedding magazine giving inspiration and ideas to brides for their wedding day. The author of the website – Sarah – needed a colorful twitter design for her profile. The task was to create a character that represents her in a working environment – sitting on a desk in front of her Mac. She also wanted some wedding stuff like a cake, bouquet, wedding rings and glasses. 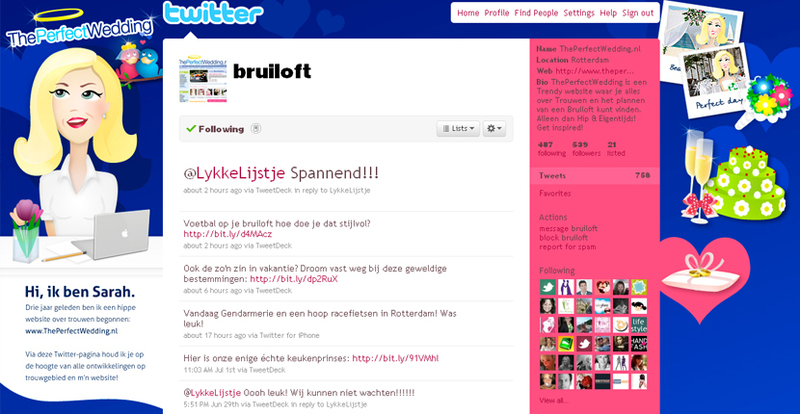 This is the final version which could be seen at www.twitter.com/bruiloft. Unfortunately as time has passed, the design was changed. The main reference for the color palette is the website – www.theperfectwedding.nl. The background design should correspond to the specific screen resolution requirements, defined by Twitter. In this case, the resolution is 1280×800 px, which is a very common one.